Your blended part into the body of the string has one section going practically straight through and the other going around it like a snake. The straighter part is likely taking most of the load. Make a double loop too. Your timber hitch end isn't even twisted up at all really. Ah, I get it now. Why do you think that happened? I followed instructions where I twisted one bundle and counter twisted it with another and repeated the sequence over and over again. Bundles were held in place by one clamp so they shouldn't "move". Weird. String is over 2 meters long and on other end it really has twists. Because of shorter bow timber hitch was basically on the place where I didn't put twists. Just a pic example here for ya FilipT.Might not be the best but you can see the difference?? ?Counter twisting it tighter to stack them right next to each other as close as possible.Stagger out the plys too to give it a taperd look into the main string. Uneven twisting of the bundles. A good idea is to really clamp your string tightly when first starting to twist and then put your loop sections around something solid so you can apply tension while blending the tails in. If you pinch your two plies in a padded vise when first forming the section that will become the loop you can get a nicer twist started.. Then loop that around a peg etc to do the blend. I see the difference now, especially when I inspected my string couple of minutes ago. Well, it was a first try though haha. Btw, I like the color contrast on your string, mine is boringly green lol. I'll make a new one today and post a picture. 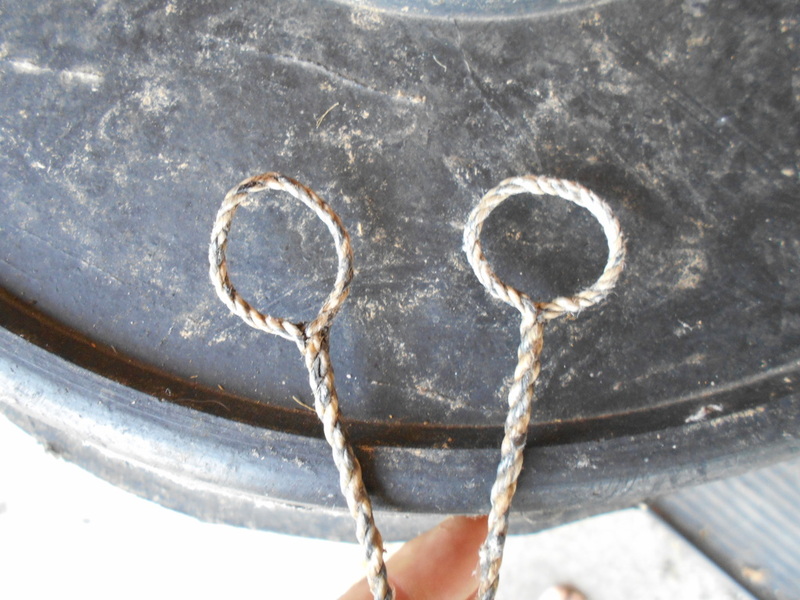 A very common newbe mistake, you twisted one bundle around the other instead of pulling them out to the side each and every time before you over lap the other bundle. After each wrap pull the bundle out and to the right. I made a double loop string. It looks a lot better, although it is a bit on the shorter side. Doesn't matter too much as I don't plan to make very long bows. But for the future reference, when you make double loop flemish string without jig, how do you know how long will it come at the end? You follow the standard formula when you hammer two nails in a board. That's a jig too.